Russia's new Sarmat ICBM, which is capable of overcoming missile defense systems, has completed tests and is a "breakthrough" for the country's missile program, President Vladimir Putin announced on March 1. Sputnik tries to find out what this missile is all about. The Sarmat heavy intercontinental ballistic missile, which Russia has been testing since last year, will replace the aging but reliable Soviet-era R-36M2 Voyevoda (SS-18 Satan) ICBMs. Developed by the Makeyev Rocket Design Bureau, the new hypersonic Sarmat missile is capable of striking targets both via the North and the South Poles. “The missile’s uniquely cross-functional combat platform allows the use of all types of individually targeted warheads, including ones which are still on the drawing board,” Russia’s Strategic Missile Forces Commander, Col. Gen. Karatayev, told Sputnik. “The new missile is able to engage long-distance targets with multiple flight trajectories as its onboard flight control system ensures pinpoint accuracy,” he added. The Sarmat has virtually no range limit and is capable of outmaneuvering all existing missile defense systems. “With a global missile shield now being developed by the United States, whose elements are literally encircling Russia, we have taken retaliatory measures to effectively neutralize this threat to our security,” Karatayev added. 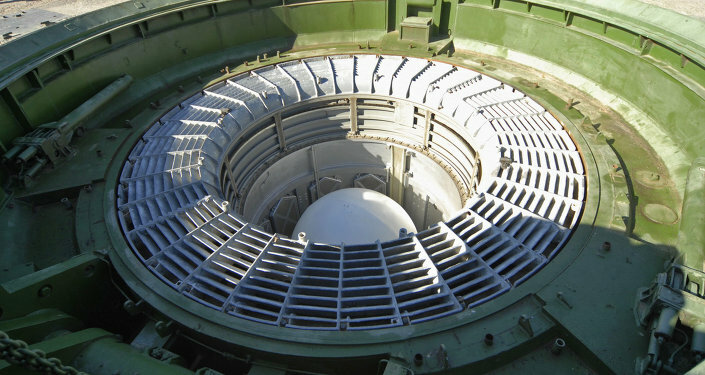 The Sarmat ICBM is small enough to fit into existing missile silos with minimum modifications to launch area infrastructure. During his state-of-the-nation address on Thursday, President Vladimir Putin said that Russia had successfully tested a completely new type of armament "unmatched in the world" — the Sarmat ICBM, capable of carrying a wide range of nuclear weapons. Putin announced the beginning of the active phase of Sarmat missile system tests, saying that the new weapons would be invulnerable to interception as its capabilities allow it to bypass any missile defense.